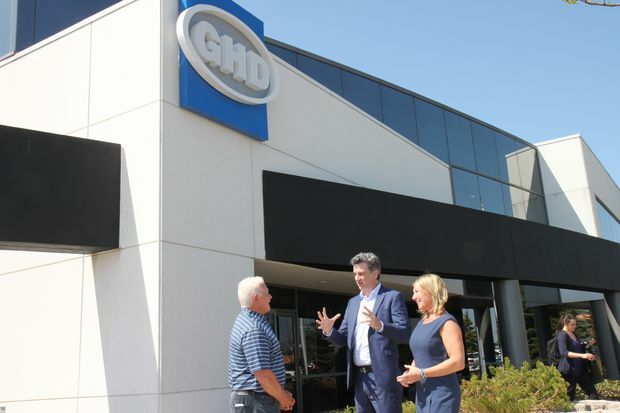 Engineering and environmental consultancy GHD Ltd. consolidated six of its Waterloo, Ont., and area offices into a 100,000-square-foot space once owned by BlackBerry, just one of several examples of how the tech giant’s former lands have been repurposed. 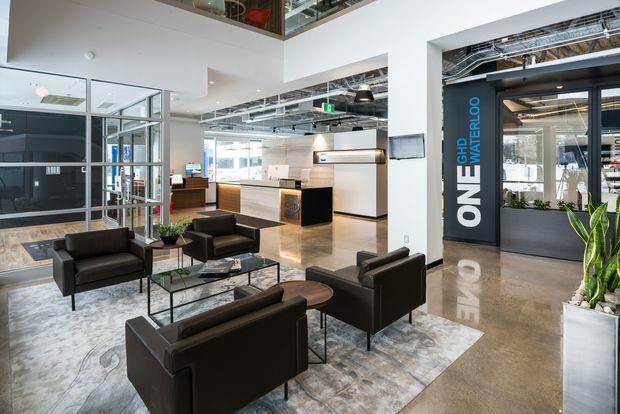 When BlackBerry Ltd. divested about three million square feet of real estate in Waterloo, Ont., and area in 2014, some out-of-town naysayers warned of a calamitous office space glut in a region once dominated by the former tech titan. It took about two years to upend the gloomy predictions. Over 26 months, public- and private-sector entities scooped up 2.3 million square feet of BlackBerry’s 2.8-million-square-foot portfolio over 21 buildings in the Waterloo area. After a 10- to 20-per-cent dip in 2014-15, lease rates began to recover last year. Several factors helped fuel the absorption, including: packaging the real-estate assets in bulk; supportive municipal economic development officials; and a soon-to-open light-rail transit line with a stop by the BlackBerry buildings beside the University of Waterloo. Most significant, though, was the role of talent, including a cadre of laid-off BlackBerry engineers, in attracting new employers to high-end office space near desirable university graduates. John Ferguson, centre, managing director of GHD Ltd., negotiated a long-term lease for the engineering company to move into office space formerly owned by BlackBerry. He points out some amenity improvements to John Whitney, left, CEO of Whitney Commercial Real Estate Services, and Whitney president Jane Klugman. 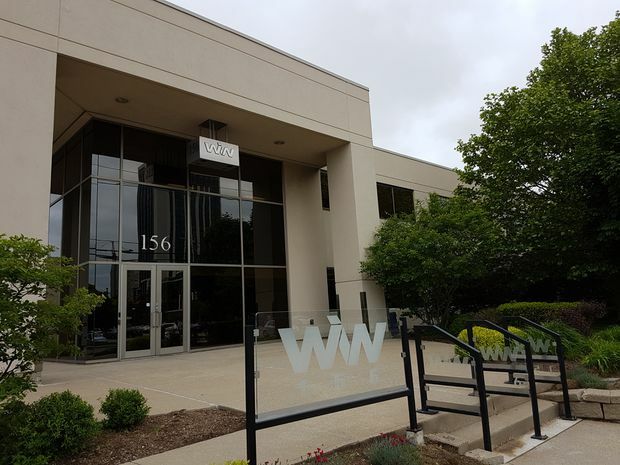 Citing Google’s recent arrival in Waterloo and others who followed, Mr. Grassi said their location decision is “really about the talent.” In the United States, he notes, “Google is huge in Pittsburgh,” home to Carnegie Mellon University. “It’s a great marriage. At its peak, BlackBerry’s holdings represented one-third of Waterloo’s office inventory, according to Ryan Mounsey, senior economic development advisor for the city, overshadowing others competing for choice space. “In some ways, BlackBerry’s demise was the best thing that happened to every other company in town,” he says. A former BlackBerry building at 455 Phillip St., which Mr. Whitney had sold to the company in its heyday decades earlier, exemplified the renewal challenge. At 150,000 square feet, the building “was one of the better pieces of real estate we acquired and we fixed it up and spent a fair amount of money on it ... but it sat for a period of time,” says Mr. Grassi. Spear Street made improvements designed for smaller-scale tenants — removing drop ceilings to create a funky industrial feel, subdividing the space, and taking out high office partitions that blocked light and gave a sterile, corporate look. GHD’s leased space at 455 Phillip St. is part of what used to be a 150,000-square-foot BlackBerry facility. The building’s new owner, Spear Street Capital, says it spent ‘a fair amount of money’ renovating to make it suitable in size and aesthetics for new tenants. Among the cosmetic changes were exposing the ceilings to create a chic industrial feel. In turn, the City of Waterloo rebranded Phillip Street as part of an “Idea Quarter,” including a startup accelerator and the David Johnston Research and Technology Park (opposite the University of Waterloo), to lure technology, retail and service industries. A few kilometres away, a Waterloo-founded but now Australian-owned engineering and environment construction and consulting company was poised to consolidate six offices in the same area. “Somebody’s tragedy is somebody else’s gain,” says John Ferguson, managing director of 560-employee GHD Ltd. , who toured multiple BlackBerry buildings before negotiating a long-term lease for 100,000 square feet at 455 Phillip St. One-third of the building remains vacant. In May of 2018, GHD fully moved into its new quarters, utterly transformed from the building that Spear Street opened for a realtor tour three years ago. The stylish interior embodies the latest in workplace design – agile seating, retractable glass-paneled meeting rooms, a gym, a prayer and wellness room, on-site catering and cafés on two floors offering gourmet coffee, tea and soft drinks. “We left a Pinto and now we are driving a Ferrari,” quips Mr. Ferguson. The cluster of Waterloo Innovation Network buildings houses a number of startups and branch plant operations as tenants, including Coherent Logix. The talent factor also loomed large when former senior ex-BlackBerry employees, reluctant to leave Waterloo, decided to use their résumés to import their next employer. David Starks led a cadre of senior managers laid off from BlackBerry in early 2014, contacting major cellular radio companies to locate in Waterloo. He and his colleagues were determined to stay for the reasons that first brought them here: housing, quality of life and the public school system. “We can stay here and we have a road map for all our kids’ futures,” he says. At the same time, Texas-based Coherent Logix Inc., a semiconductor startup innovating in low-power, high-performance chips, had an immediate need for top engineers with the expertise of Mr. Starks and a dozen or so of his colleagues. Soon after leaving BlackBerry, they were hired to open Coherent Logix’s first Canadian office, a well-equipped former BlackBerry shop on the doorstep of the University of Waterloo. “Talent and space all came together,” says Mr. Starks, now director of wireless software at Coherent Logix’s Waterloo office. 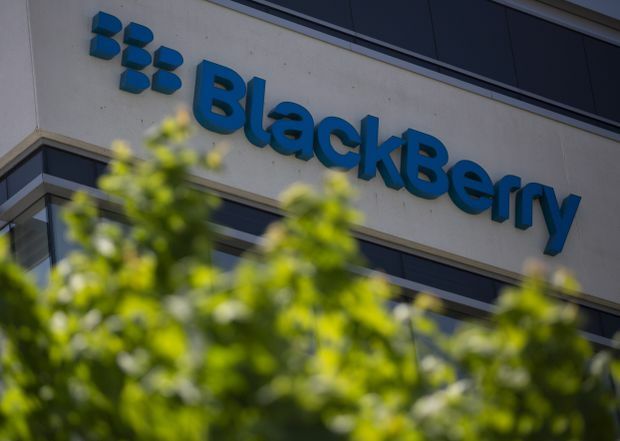 BlackBerry retains just 150,000 square feet of its former office space in Waterloo. January to May of 2014: BlackBerry divests 2.8 million square feet, initially selling 300,000 square feet to the University of Waterloo and 44,700 square feet to Waterloo Innovation Network, and later 2.4 million square feet to Spear Street Capital. July to December of 2014: Spear Street sells 90,400 square feet to Quantum Valley Investments (co-founded by Mike Lazaridis, a co-founder of BlackBerry) and an additional 200,300 square feet to Waterloo Innovation Network. July of 2015: Spear Street sells two buildings in nearby Cambridge, Ont., for a total of 248,800 square feet, to CanFirst Capital. Separately, a 500,800-square-foot building is sold to Dare Foods. December of 2016: Spear Street sells three buildings for a total of 481,000 square feet, only partially leased, to CanFirst Capital. May of 2018: Of the original BlackBerry portfolio in the Waterloo area, just 150,000 square feet remains vacant.